It would appear that the “Promiseland” is in fact an empty high school – at least to user RavingTec9. 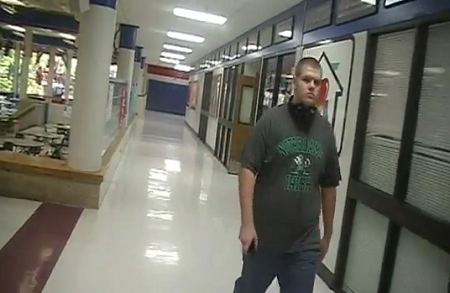 In what hopefully got the dude an A+, RavingTec9 is seen here trekking through his high school while performing (most of) “Promiseland” from Tech’s All 6’s and 7’s for a music video for his Radio/TV class. Have you made any home-made Strange Music videos?